We are a leading Manufacturer of combi oven, proofing chamber, luxury pizza oven, rotary oven, spiral mixer and oven with proofer proover from New Delhi, India. 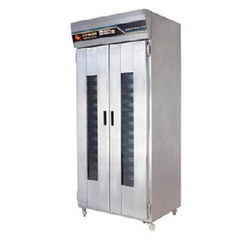 Royal Kitchen Equipment Co. are leading Manufacturer, Supplier, Exporter, Importer and Wholesaler of customised wide range of all commercial food equipment. 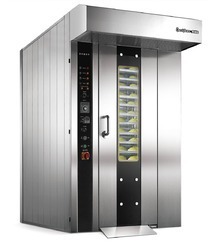 The new SelfCookingCenter® 5 Senses from RATIONAL. You're looking for a reliable assistant. 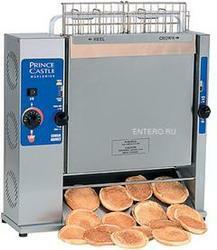 Royal Kitchen Equipment Co. are leading Manufacturer, Supplier, Exporter, Importer and Wholesaler of Pizza Ovens. All made in Taiwan. Imported Gearbox SeW or Bonofiglioli. · Motor Crompton (3 Phase). Royal Kitchen Equipment Co. are leading Manufacturer, Supplier, Exporter, Importer and Wholesaler of broad range of Spiral Mixer. 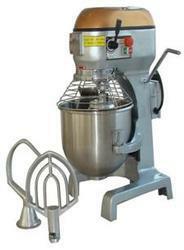 This spiral mixer is processed by using basic material which is best in quality and leading technology. Apart from this, our quality experts examine this spiral mixer on quality factors to make certain a default free range to our customer’s end. Royal Kitchen Equipment Co. are leading Manufacturer, Supplier, Exporter, Importer and Wholesaler of deck oven with proofer. Royal Kitchen Equipment Co. are leading Manufacturer, Supplier, Exporter, Importer and Wholesaler have marked a distinct position in the market by providing an effective range of the Dough Sheeter. This dough sheeter is designed and engineered using supreme class raw material in compliance with set industry norms. We assure our valuable clients that this dough sheeter is precisely checked on several quality parameters. 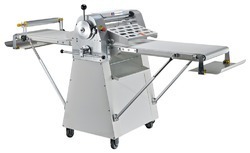 This Dough Sheeter is offered at reasonable prices to clients. 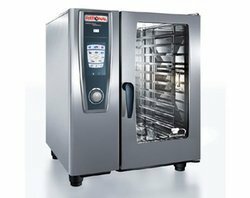 Royal Kitchen Equipment Co. are leading Manufacturer, Supplier, Exporter, Importer and Wholesaler of customised an extensive range of Three Deck Oven, 3 deck oven. This product is manufactured from high quality components as per the international standards under the supervision of our skilled professionals. Clients can avail this product from us in different specifications at industry leading price. Royal Kitchen Equipment Co. are leading Manufacturer, Supplier, Exporter, Importer and Wholesaler of Planetary Mixer in diffrent calacities 10 ltrs, 15 ltrs, 20 ltrs, 30ltrs, 40 ltrs with 3 attachment and saftey gurad. All made in Taiwan. 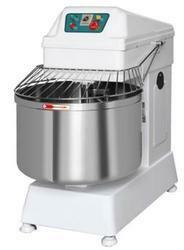 Backed by a team of experienced professionals at Royal Kitchen Equipment Co. 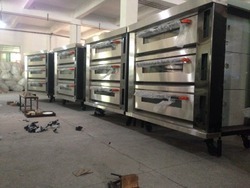 Manufacturer, Supplier, Exporter, Importer and Wholesaler of Double Deck Oven. 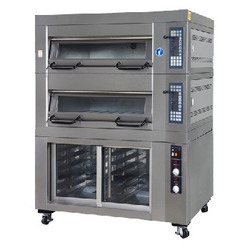 This double deck oven is processed by utilizing best quality factor inputs and new technology. 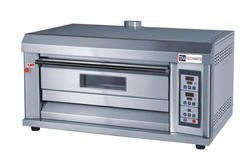 Our presented double deck oven is enormously commended and valued by our consumers. In addition, our quality experts examine the given double deck oven at different parameters to assure a default free range. Royal Kitchen Equipment Co. are leading Manufacturer, Supplier, Exporter, Importer and Wholesaler of pizza oven with stone. 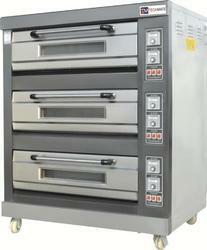 This single deck oven is tested on quality factors so that we can deliver deform free range from our side. Apart from this, our experts process this single deck oven under the precious observation of experts who are considered to be the best in the industry. Our patrons can effortlessly take this single deck oven at nominal prices. Royal Kitchen Equipment Co. are leading Manufacturer, Supplier, Exporter, Importer and Wholesaler of customised wide range of Food Display counters. 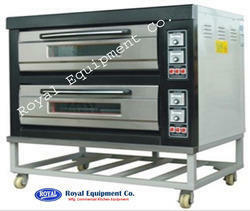 Royal Kitchen Equipment Co. are leading Manufacturer, Supplier, Exporter, Importer and Wholesaler of Conveyor Pizza oven. Top and bottom heating elements with individual temperature controller, easy handling for choosing front or rear discharge. World's best Deck. 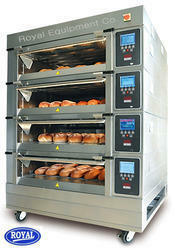 Bakery Ovens, Gas Ovens, Diesel Rotary Ovens. Royal Kitchen Equipment Co. are leading Manufacturer, Supplier, Exporter, Importer and Wholesaler of customised wide range of Bread Slicer . 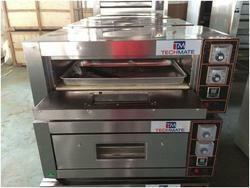 Our company is widely appreciated in offering Baking Oven to the clients. This product is used in food industry for baking food articles. Offered range is manufactured at advanced manufacturing unit using quality approved components and advanced technology under the guidance of adept professionals. 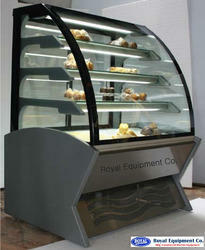 Baking Oven is tested by quality controllers on various parameters to ensure proper functionality. Offered range is passed by quality inspectors on various measures to assure excellent performance and widely acclaimed by the clients. Royal Kitchen Equipment Co. are leading Manufacturer, Supplier, Exporter, Importer and Wholesaler of customised wide range of Bakery Tray Rack, SS Trey rack.